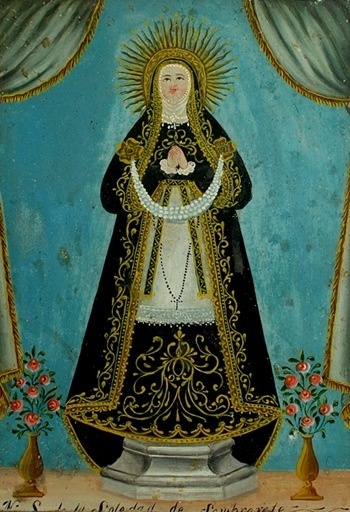 This genre of folk art, deeply rooted in Spanish history, represents the heart and soul of traditional religious beliefs in 17th, 18th, and 19th century Mexican culture. Symbolic, historical, allegorical, folkloric and spiritual are just a few of the words that best describe this unique art form. 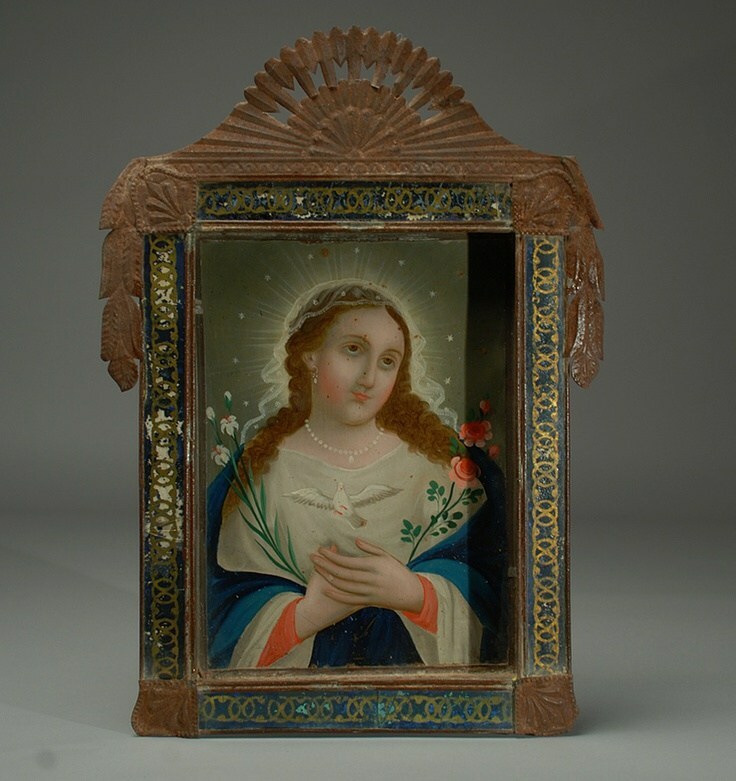 The ex-votos whose origin means "for solemn vow or promise" are devotional paintings on canvas or tin which offer thanks to a particular saint in the form of a short narrative. There are three basic elements to an ex-voto, a scene depicting a tragedy or someone with a grave illness or injury, a saint or martyr that intervened to save the day, and an inscription describing the tragic event and giving thanks for the divine intervention. These art forms are a hybrid of centuries old Catholic iconography and indigenous artistry; reflecting the historical, cultural and religious links between "old" and "new" worlds. We will make our own versions of these ex-votos in Judy Wise's class in our workshops in Paint Oaxaca and Paint Mexico City. My head is already creating my story and I am itching to get my hands on the tin. An interesting side note, since I did speak about Mexico City, is that Frida and Diego had a collection of hundreds of ex-votos and retablos displayed in their homes. And I discovered that Frida was known to have plucked a few off the walls of churches for her own personal collection. 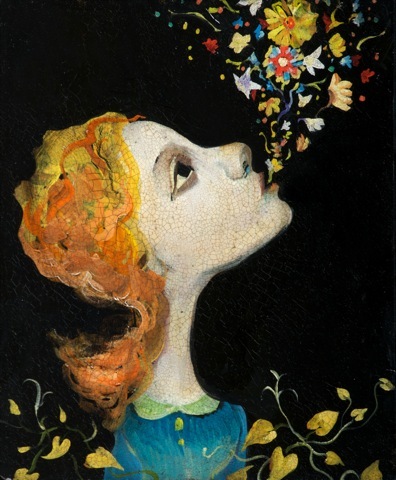 You can also see the influence of these in her artwork. Can't wait to see those, too, because we are visiting the Blue House and Diego's house as well. 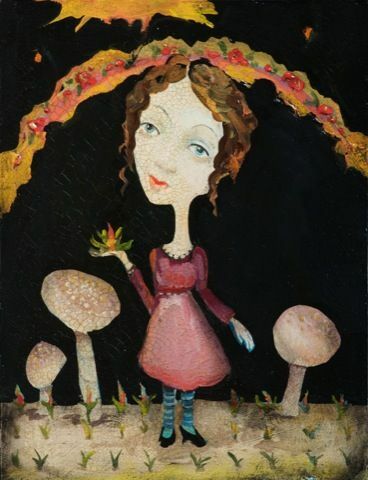 Here is a modern day version from one of my favorite artists, Cassandra Barney who did a whole series of what she called retablos.